Hi guys! For about a week, a number of my books on Amazon will be on sale for 99 cents each. If you read in a different format, please contact me. I'll hook ya up! Yeah, Seth knows Joe is a little older--but he doesn't realize the foxy gentleman is thirty years older. Twenty-three vs. fifty-three is kind of a big deal. Is there any chance for things to work out between a laid-back surfer and an older guy with heart problems and an overly chivalrous nature? 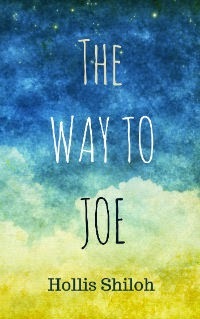 I seriously loved The Way to Joe :-) *Hugs*!!! Amazing story. Any plans for a sequel? Possibly a heart transplant? I have no current plans for a sequel. :) Anything could happen, though. Thanks again.